Refugees and Citizenship Minister, John McCallum, appeared in Brampton (Ontario) on Thursday for a public meeting hosted by Brampton West MP, Kamal Khera. Among the many reforms mentioned, the most promising included reducing the processing times for those wishing to come to Canada under spousal sponsorship and family reunification programs. In a previous town hall meeting, McCallum also told the media that the current government hopes to issue up to 20,000 visas in the parent and grandparent sponsorship applications category. Asked whether the government planned to do anything to create incentives and job opportunities for new immigrants to settle in other provinces and places instead of a few select cities, the minister said the government has been working with communities and companies across Canada to ensure they are immigrant-friendly. In Atlantic Canada, the Liberal government has been working to introduce a system that would speed-up the accreditation process of foreign degrees, he said. One of the many reasons we campaign for freedom of movement between Canada, Australia, New Zealand and the United Kingdom is so families throughout these Commonwealth countries will not be divided by unfair and arduous immigration controls that prevent thousands of parents, spouses and children from being reunited. 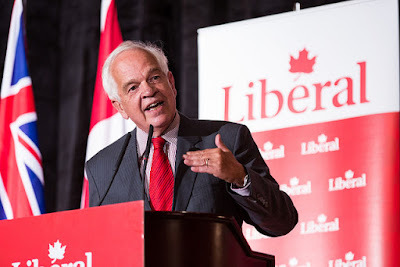 Although John McCallum made no mention of free movement during this small public meeting, the Liberal government’s dedication to lowering the processing times for family reunification is certainly a step in the right direction before our free movement proposals can be introduced.